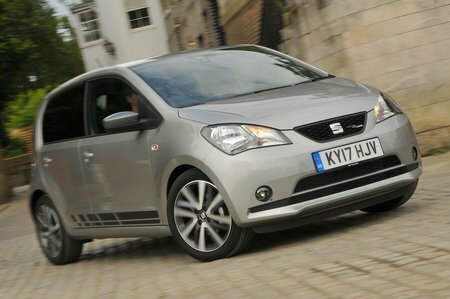 Seat Mii 1.0 FR Line [EZ] 5dr 2019 Review | What Car? What Car? will save you at least £2,491, but our approved dealers could save you even more. As Design Mii, but you get sportier looks with bigger 16in alloy wheels and front foglights, plus sports suspension. The lower-powered of the two 1.0-litre petrol engines is fine in town and crucially helps keep the price low. It also uses slightly less fuel than the 74bhp unit, but can feel underpowered on faster roads.